Our Holiday Gift Guide 2017 was so well received last year we’re bringing it back! Our elves have sat down and prepared our 2018 Italian Store Holiday Gift Guide carefully selecting 10 of our favourite finds in the store for every budget of gift giving this year. In our crafted list of goodies you will find hostess gifts, friend gifts, foodie gifts, gifts for your boss, co-workers, stocking stuffers and even gifts to be shared. If you do not see what you are looking for, drop in and we can help you find something special! 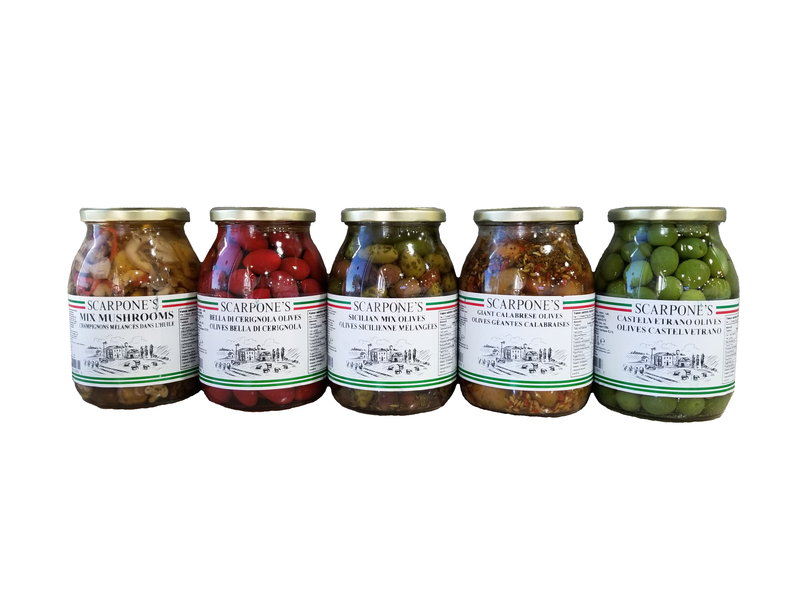 We select and use only the best products from Europe in our Scarpone’s Antipasto line. 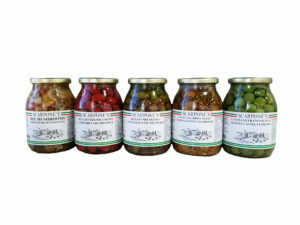 Find all your favourite olives, artichokes, mushrooms, cipollini, onions, friarelli and more with close to 50 items available to choose from. Pick up a beautiful bowl from our kitchen wares section to go with your jar of olives. 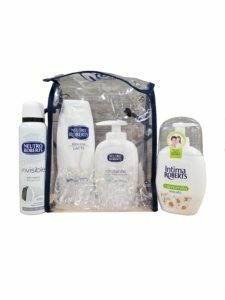 Neutro Roberts is a leading personal and skin care brand from Florence, Italy, owned by the famous house of Manetti & Roberts. These skin care products are pH neutral and all products are gentle and mild on the skin. Set includes hand soap, body soap, hand cream and Intima Roberts Delicate intimate wash.
Toiletries from Italy. Felce Azzurra products are lightly scented, high quality products that have quite a faithful customer following. This set includes aftershave, soap, deodorant and body wash.
Torrone is a very popular Italian Nut & Nougat treat found in Italian households throughout December. Typical in many Italian regions as a Christmas present, it can also be found in other Southern European countries like France and Spain. Besides eating it right out of the package you can add chopped torrone to muffins, cheesecakes or sprinkle on desserts. Available in a variety of pretty packages and flavours. 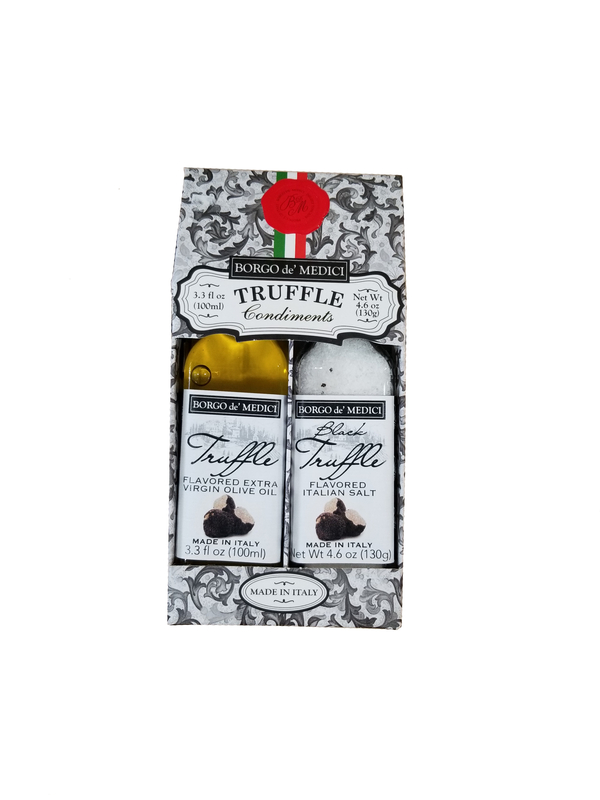 Bursting with flavour and just the right size, BORGO de’ MEDICI has created the ultimate gift for the foodie in your life. 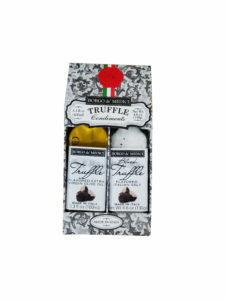 This package gift set includes Truffle Extra Virgin Olive Oil and Black Truffle Italian Salt. A good way to flavour any meal including popcorn and pizza. 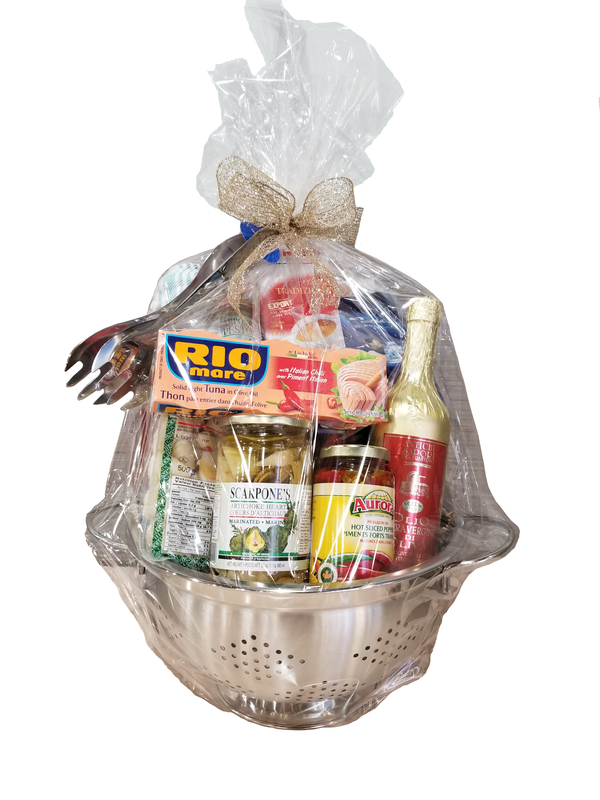 Available in several sizes, we picked Scarpone’s gift baskets as one of our top gifts to give since you can personalize it to your specifications. From coffee lovers to chocolate lovers we can prepare the perfect gift for your person or people. 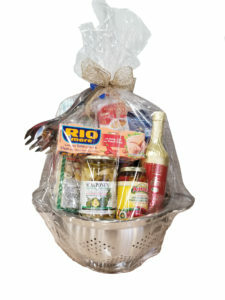 Order in advance or choose from several baskets already available in the store. Gingerbread is a time honoured European tradition in many households. 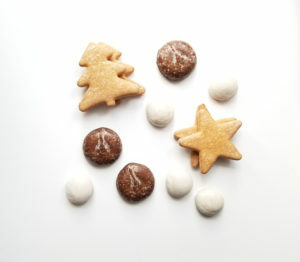 Even though sweet-spicy gingerbread cakes and cookies are popular year-round in many countries of Europe, they’re particularly associated with the winter holidays. Bakeries from Sweden to Slovakia to Switzerland turn out tons of commercial gingerbread products, often packaged in brightly colored wrappings and tin boxes perfect for gift gifting. Find several varieties in the store. It’s not very often we buy new linens to replace old ones, making linens the perfect gift to give. 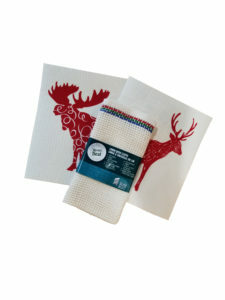 Wet-it cloths are Swedish-made high quality products lasting up to 6 months. Linen Dish Clothes are strong and durable, leaving no fluff, marks or residue. 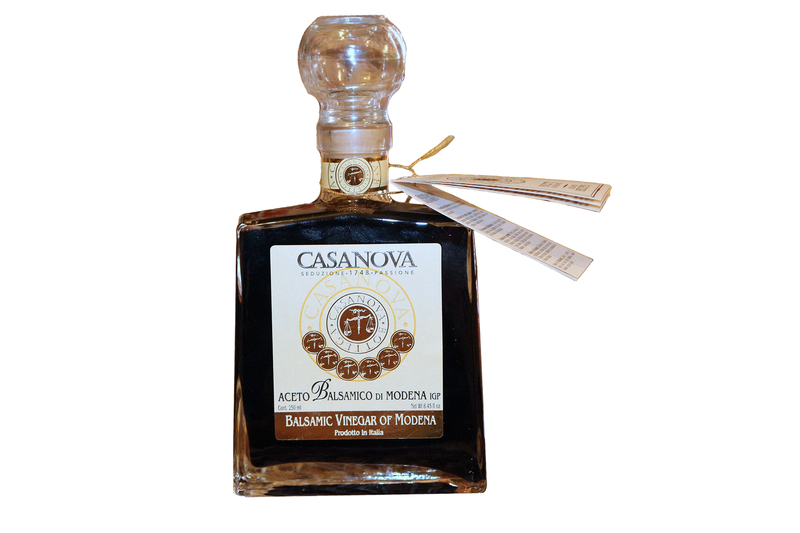 A versatile gift for any food lover, 12 year aged Casanova Balsamic Vinegar from Modena used with extra virgin olive oil makes a delicious salad dressing, marinade, dip for crusty bread or can even be used as a drizzle. Pair it with a bottle of olive oil for the ultimate gift. This vinegar comes in a beautiful box ready for gift giving. No Italian house is complete without a loaf of panettone during the holidays. Italy has many Christmas sweets and threats, but a slice of panettone and a flute of prosecco is the classic way for Italians to welcome the festive season. 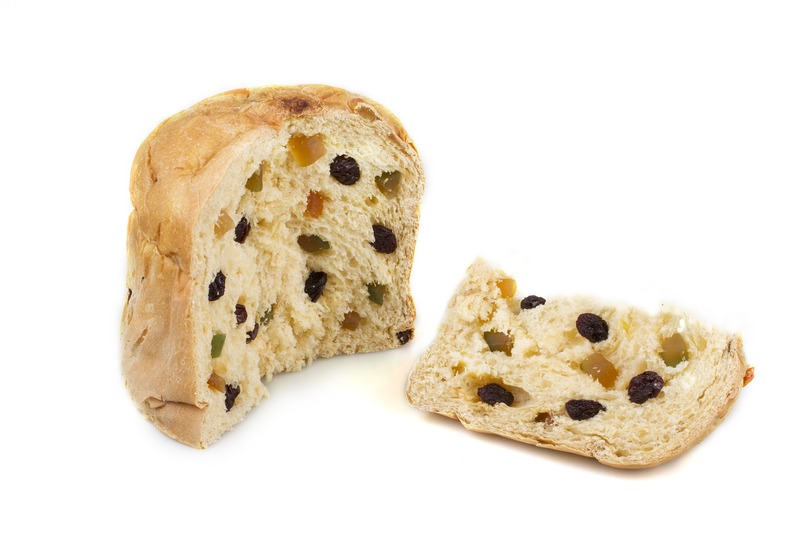 This traditional cake-like bread is stuffed with dried raisins, candied orange and lemon peel. The origins of Panettone are in Milan, in the northern Italy. It has a noble and antique birth, and several legends that go along with the tradition. Available in several flavours and sizes. 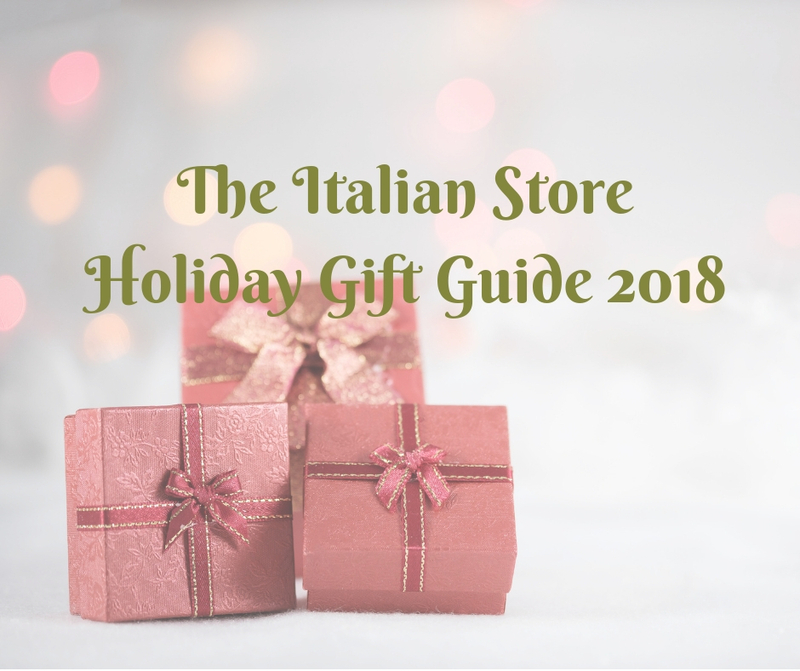 From food items to items for every day use, our 2018 Holiday Gift Guide has a little something for everyone!